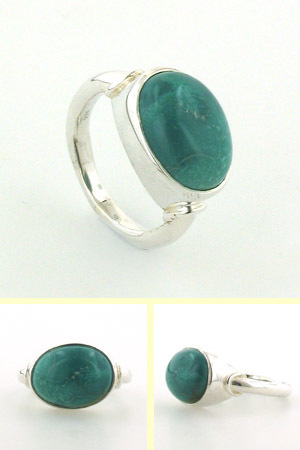 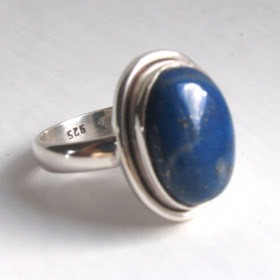 Large oval turquoise silver ring. 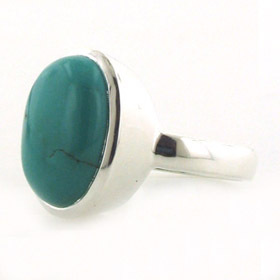 This stylish turquoise ring is set in sterling silver. 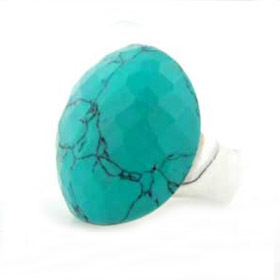 It features a natural turquoise gemstone - a favourite semi-precious stone. 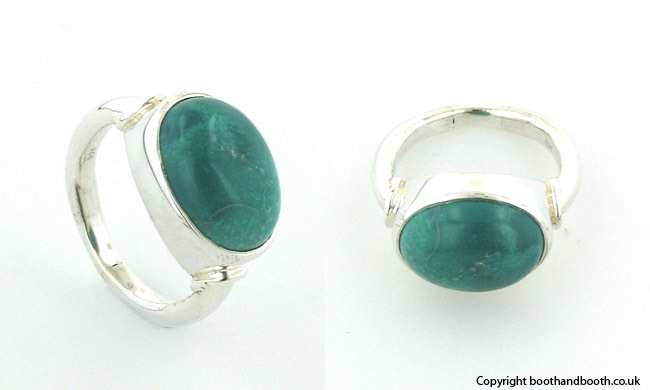 The turquoise stone is smoothly set into its setting and won't catch on clothing or similar. 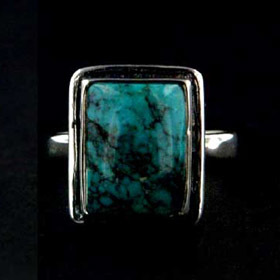 Why not take a look at our turquoise pendants and turquoise bracelets and make up a set.